Make best use of your time in Nara on this guided tour that takes you to each of the city's highlights, as well as to a sake brewery to sample five local sakes. In a small group, learn about Nara, Japan's first permanent capital, as you visit such sites as the Kasuga Shrine, Nigatsudo, and Todaiji, Japan's largest Buddha statue. 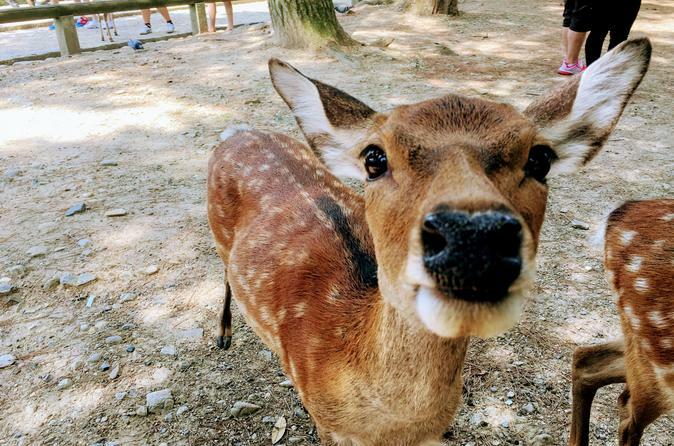 You also have the opportunity to meet the city's many deer residents in photogenic Nara Park.